Well the Remington goes marching on it would seem. My go to bush rifle the Sako vixen in .222 is temporarily languishing in the safe whilst its scope is away at Leupold having a warranty check. After 40 years use, I thought it was time to check the ole girl out. Approaching the roar and it is early March, which sees the wily stag in his best condition for obtaining venison from. Remington 700 and Ridgeline Pikau. Two back steaks, two boned out rear legs, liver and kidneys later- job done. A Howa in .223 cal. in the hands of Amos Rand accounted for this healthy Spiker recently. Most of the best cuts of meat were recovered too. Half decent stag seen recently but left alone. He was roared in from some distance and has now just smelled the rat and is seconds away from high tailing it away. 16th May and it seems the rut is still going in some faraway places. This stag succumbed to a 165 Nosler Accubond at 180 meters whilst making advances to one of three females. 13 year old Declan Henry with his prize stag shot in a river bed from high above . The stag came in response to our roars. He was slightly unlucky too as there were 4 hinds attended by a lowly spiker just up the way which we had sneaked past and would have been his for the taking had not the .243 spoke with such authority. Arron with the rewards of the hunt. The stag was on a mission to confront another of his brethren when intercepted by Arron and his Blaser rifle. Bewilderment and confusion reign supreme as these two register the disappearance of one of their number. They sort it out in the end and exit the scene safely. Battered ,bloodied and bruised but unbowed, Brent relishes the moment. It is late in the day and there is more work to do and we know it ain’t gonna do it itself!………. 216 meter shot across a scrub infested gully gets it’s reward. Note the new Vortex binos used to good effect. Dean Lindon with stag shot en route for meat. It certainly took the pressure off our food supplies for the next six days. stag taken during the roar 2015. His demise from the gene pool is not going to make anyone grieve his absence. A stag seen many times over the years and not getting any better antler wise- nor will it now! A hind taken for meat in September and it is the venerable triple two that has its wicked way once more. 165 Accubonds are not catch and release! This boy was in the wrong place at the wrong time! Cos he certainly ain’t no wall hanger. More venison recovery this shot taken off my movie camera captures the second and remaining spiker gobbing off- not liking the fact his mate has just disappeared. He is lucky he just doesn’t know it is all! This stag was the mate of the “Lucky one” above Paul. These guys were photographed after I almost jumped on top of them in deep tussock. It was a mad scramble into my day pack to find my camera before they disappeared. “12 deer and a chamois” story has the full description. Nelson Lakes. Sako Vixen .222 is the rifle and it is a red deer hind in summer . Location would be the Tussock/Harkness area of the Kawekas early eighties. This stag was shot in the late seventies when I was camped at Winchecombe bivvy in the Tararuas. 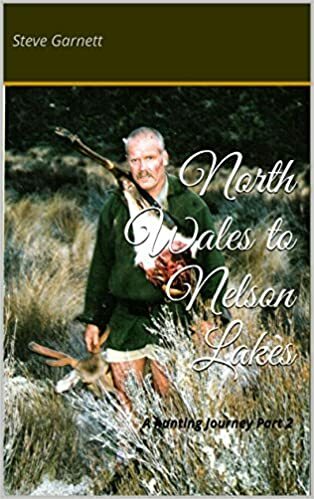 He was hiding in a small patch of bush and after lobbing stones in and calling on him to put his hands up and that he was under arrest he eventually strolled out into the surrounding tussock. There is a little spot just off the track from Neil Forks to Maungahuka that Gary Hansen once showed me while we were culling in the Tararuas. And this is it being as productive as usual. Hind and Bambi down and “Jake” inspecting the troops. Ditto area from above photo with the same rifle. I remember distinctly that this was my first tail back on the job after a long xmas break in Australia. Watching the two escape after dropping the spiker with Sako Forester .308. Nelson Lakes. Raging snow storm on the tops and I spied this Red stag having a siesta in more sensible weather and location…….Left him in peace. This specimen tried to hide from me behind this big rock. Ask yourself? Just back from a three day fly camp on the tops and I have to report no roars or sighting of stags. I came out on April 1st………..mmm makes you think eh? Previous years I have found the roar to be well on the way from around the 20th March and even earlier !Full story below under hunting trips. Young stag wrong place wrong time. Young stag holding a hind and bambi in the roar of 2008. Came across them all feeding on avalanche debris regrowth. Spiker taken on sheltered side of ridge. Young deer selected out of four in September feeding on tussock recently realeased by snow cover. Steep downhill angle and I held too low. She went down for keeps but no room for error. Silly girl should have had her head down at that time of day!! Hinds look back for the last time before exiting the high pastures in favour of the bush sanctuary. Mother and yearling..”whats going on then”? Spiker and mum disturbed by me whilst they were having a late breakfast. Better off here I would say as the adult men folk were getting a hammering on the tops by the choppers. He lies where he fell and must have had a few years of uninterupted “good life” going on his general behaviour- a part of it was obvioulsy the ole hormones playing up-being as it was that time of the year because the ladies were not acting stupid at all. These two were spotted on the morning of the second day of my winter headskin trip-luckily for them venison was not on the menu. Just goes to show they are not always on the sunny faces !! Stag in velvet sampling the good life atop a spur early in the morning. Took some photies-he might still be there ! After a blisteringly hot day this guy came out in the cool of the evening. A Spiker makes his escape from a high alpine basin in late July. His 6 pointer mate that was with him had already departed – I failed to film him as I had not pressed the “record button”-durgh! Chamois were the target for the day so these guys get to stay off the endangered species list. Venison sorted for the trip.